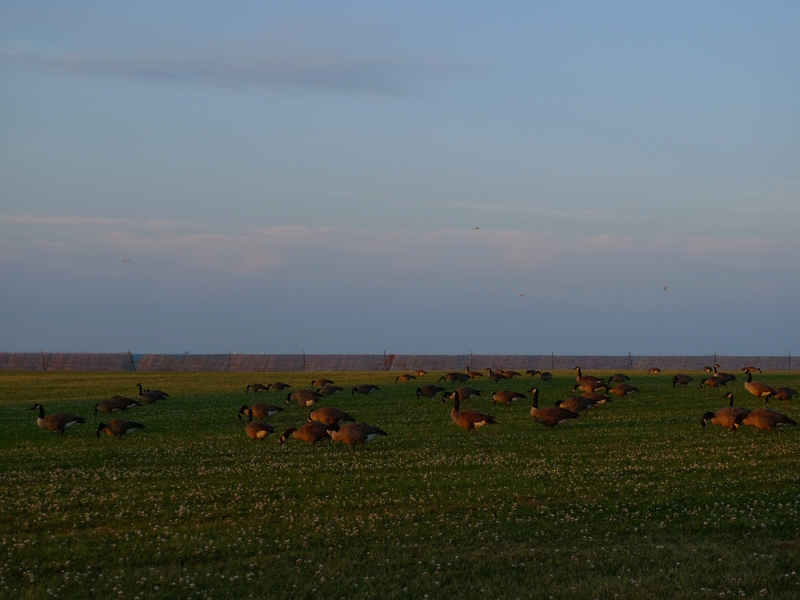 A flock of giant Canada geese on the shore of Lake Michigan at sunset. Believed to be extinct in the 1950s due to over-hunting and loss of habitat, they were rediscovered in 1962 in Rochester, Minnesota, and subsequently reintroduced throughout North America. As often happens in such cases, the geese population got slightly out of control. With lack of natural predators and a lot of easy accessible food sources (think public parks and beaches), not to mention people directly feeding them, the geese gradually stopped migrating and became a year-round feature of urban areas. This entry was posted in Bits & Pieces, Chicago, Lake Michigan, Sunset, Travel and tagged Bits & Pieces, Chicago, Lake Michigan, Sunset, Travel. Bookmark the permalink.